If your business website does not rank among those on the topmost page of the search engine results pages, then most consumers may know nothing about your business. Research studies done by Google indicates that more than 50% of site owners are not taking advantage of the online market even after investing in building a website. If your website is not functional in any way, then it does not profit your business. The online market has a huge potential given that more than 70% of consumers now use the internet when making their shopping decisions. This is the main reason why businesses must ensure that their websites are fully optimized for the search engines. With SEO services, your website will rank higher in the SERPs for targeted keywords and you will enjoy increased traffic. 1. 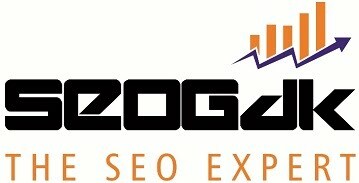 How experienced are you in SEO? 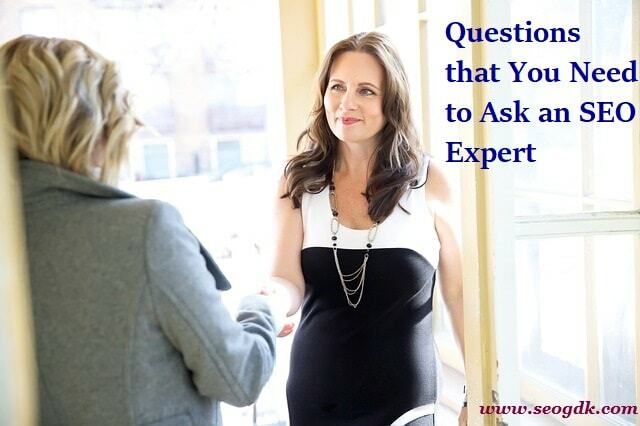 If you want the best results for your SEO project, you should always hire seasoned experts. The more years, an SEO specialist has been in the field the better for you. Such professionals have an in-depth understanding of the industry trends and best practices and will make an informed choice for you. In addition, they avoid techniques that could result in penalties because they understand the search engine algorithms. 2. How will You Boost My Website’s Ranking? You need to work with a professional who is transparent about the SEO strategies that he/she will employ on your website. An SEO specialist should elaborate on the techniques that he/she will use to ensure that your search engine rankings improve. You do not want an individual who will apply black hat techniques that can result in penalties from the search engines. 3. Do you offer Service Guarantees? If your SEO expert does not offer any guarantees, then you should not hire them. SEO services will not provide quick results or assure you of topmost rankings within a few days. Your SEO professional should inform you what he/she could do for your website and provide practical or reasonable guarantees. Your SEO specialist should audit your website and make that it conforms to all the guidelines set by the webmaster. He/she should only use white hat techniques to help promote your site. 4. Do you focus on Local Searches? Getting the topmost position on the SERPs is crucial; however, focusing on local searches is also important. Your SEO specialist should ensure that your site is optimized for the local searches. This way, you will be able to drive local traffic to your business. Most consumers would want to make purchases from locally owned and reachable businesses. This means that when you focus on the local search you can boost your conversion rates. Ensure that your website is listed on local listings of Google, Bing, and Yahoo. 5. How is Your SEO Strategy Evaluated? To guarantee success, you need to carefully monitor your SEO campaigns and determine areas that need improvement. Your SEO specialist should cautiously monitor improvements on your website’s SERPs ranking to determine whether the strategies used are effective or they should be changed. Google Analytics can also help in assessing the health of your website and consumer information that can help to come up with more effective ways of improving your rankings. 6. How are Your Communication Schedules? When hiring an SEO specialist, you should determine their communication channels. Website owners must know what their SEO experts are working on and whether their strategies are effective. A good professional will set clear communication guidelines and how communication will be made. This way, you will be guaranteed updates regarding the progress of your SEO projects. 7. What Results Should I Expect on My Website? Before any work begins on your website, you need to know what expectations to get from the SEO specialist. The SEO strategies used and results should be in line with your business objectives. Furthermore, the changes should be seamless so that they do not interfere with your current users. A seasoned SEO Glasgow specialist can help to boost traffic to your website and increasing your rankings on the SERPs. To guarantee increased conversion from your website, ensure that you hire the right professional. This one is very informative and helpful post specially for those who are hiring SEO for the first time. Thanks Jyotirmoy for your appreciation and glad to know you found this information helpful...Hope to see you arround here again...Have a nice day...!!! Hi Gangadhar, Thanks a lot for selecting such a topic which will definitely guide and help all the people who are new to blogging. Welcome and thanks for exchanging your valuable thoughts on this topic...!!! Very well explained article. Thanks!